A Coregas account makes buying our gases faster, simpler and easier. You can place orders for delivery or collection, check your account and cylinder balances, pay direct or manage your account via app or completely online. The choice is yours. 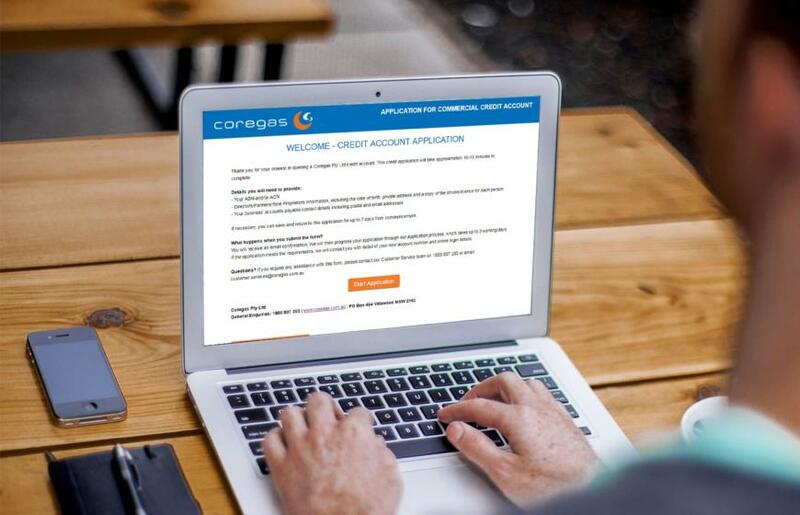 Applying for a Coregas account is easy – just follow the 3 steps below and we’ll do the rest. Click one of the buttons below to start an application either for a 30-day account or a COD account. Download, print and sign a copy of the form generated at the end of your application. We will acknowledge receipt of your completed form and progress it through our application process, which takes up to 3 working days depending on the accuracy and completeness of the form. Once complete, we will contact you with details of your new account number and online logins.